Urbanisation processes, spreading of urban areas, development of technical infrastructure are the reasons more and more ground surface is covered with non-permeable layers, e.g. asphalt, concrete etc. This poses a challenge to be faced: resolving such problems as excessive amounts of rainwater, sewage system overload, and lowering of groundwater level. In order to limit such phenomena, negatively affecting natural environment, it is vital to reasonably manage any rainwater. 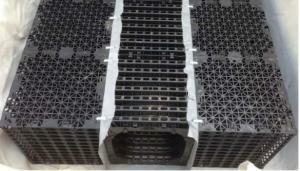 Infiltration boxes are intended for draining any hardened surfaces such as parking areas, squares, rooftops and green areas. Structure of an infiltration box, comprising a 500mm inspection tunnel, enables monitoring and cleaning of the interior of the underground system. 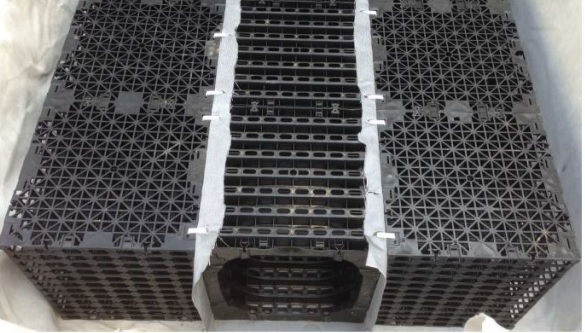 Its distinctive feature is also exceptionally easy installation of modules that, even in large-scale projects, may be completed by few persons. - saves real estate investment area due to possibility of free use of a surface above the box.